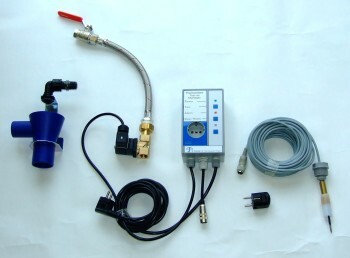 Automatic mains water top-up Controller kit for rainwater tanks. Incorporates electronic leak detection routine, preventing undue consumption of mains water. This is our top seller for domestic systems, thousands sold in the UK since 2003. Supplied with 15 metre conductivity probe, 1/2” solenoid valve, tundish, stainless steel braided mains water connection hose, and 50mm tundish. 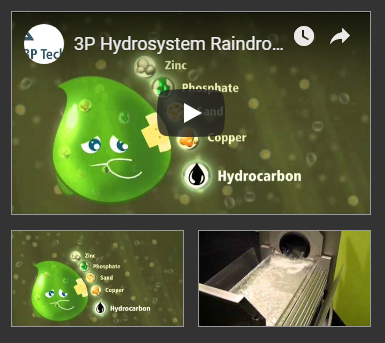 It is the the world renowned 3P Tundish with its unique integrated overflow that ensures an unobstructed air gap to prevent pollution of potable water by backflow, so fully meeting the requirements of BS EN13076. All components are available as spares in the event of losses or physical damage. Max 10A ~1 230vac pump output for pump isolation control. Pump Outlet fused at 10A. Solenoid test function (push button). Mains top-up failure alarm indicator.